There are thousands of blog posts out there claiming to know the best social media timing. Sometimes, these times seem to be plucked out of thin air. Other times, lots of data has been added together to create an average. Either way, the suggested best times to post on social media are probably not going to be accurate for your small business. So, what is the perfect social media timing? To find out what works best for your small business, you’ll have to do some research, based on your target audience and their preferences. Check out this guide on how to put together your own social media content schedule, with tips for all the main social media platforms! Why is your social media timing important? Social media feeds move quickly and it’s important to post your content at the right time so it doesn’t get lost. And the right time is when most of your followers (or potential followers) are online and able to see your content. The more people see your posts, the more people will engage with it. And the better your posts perform, the more likely it is that people who are not yet following or knowing about you will see it, too. All in all, a great social media timing will help increase your small business’s brand awareness, customer loyalty and can even result in increased sales. What industry is your small business in? Where is your main audience located? How old are your followers? So there’s no point in following a guide written by an American if your audience is based in the UK. And the same applies to advice about social media timing for businesses who are selling to other businesses (B2B) if your small business is customer-facing (B2C). How do you customise your social media content schedule? In order to find out the best times to post, you’ll need to do some research. Not only will posting times be different for each small business, but they’ll also vary from platform to platform. What might work really well on your Facebook page won’t automatically suit your Instagram channel as well. That’s why you should pay close attention to each social media platform separately. 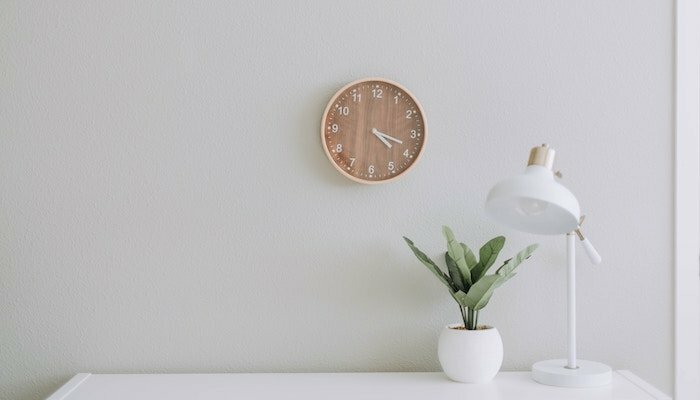 Here’s how to work out your ideal social media timings on each of the main social media channels. Find out more about how to create a content calendar for your social media marketing. Facebook Insights is a really powerful tool that can tell you a lot about your audience and how it engages with your content. To find the best time to post on Facebook for your small business, open the Insights for your Facebook page and click on the Posts section. Here you will see a graph which tells you what day of the week most of your followers are online and when. Additionally, when you hover over a specific day, it shows you the custom times of that day as well. A little tip: This information only relates to the last 7 days. If you want a more accurate sense of your audience’s social media timing, write down the busiest days and times every week for a month. Just like Facebook, if your Instagram is set up as a business account, you’ll have access to some great Instagram Insights. This data can help with a lot of planning, including working out the ideal time to post on your Instagram account. To do that, open your Instagram app and go to your profile, then open up the menu at the top. Tap on Insights and then Audience. Here you’ll find lots of useful data about your followers, including their location, age, gender, and when they’re online. You can see which days of the week are most popular, as well as hourly breakdowns per day. It’s likely you’ll see a pattern emerge – pay attention to any high points in the graph as this is when most people are online. Twitter also provides access to its in-built Twitter Analytics to help you decide when is the best time to post. Log in to Twitter and click on Analytics in the main menu, then click on Audiences. Unlike Facebook and Instagram, there isn’t a handy graph to show you the exact times your audience is online. Instead, you’ll have to work it out using some of the other data available. For example, look at your past tweets and check which ones got the most engagement. Take a note of when you posted these and see if a pattern emerges. You can also check the Demographics tab to see where your audience is based. If many of your followers are located in a different timezone, it’s worth scheduling some tweets to go live in their local timezone. And another tactic is to analyse data like household income, interests, and consumer behaviour. This will help you build a better picture of your audience and work out when they’re likely to be online. If you like, you can also use third-party apps that can give you recommendations for your social media timing on Twitter (e.g. Tweriod or Audiense). Pinterest, Youtube and LinkedIn don’t show you directly when your followers are online. But they do have lots of helpful demographic information to help you work it out. Log in to each account and access the respective Analytics sections to find out more about your audience. Here you’ll be able to see things like the age, gender, location and interests of users who have interacted with your content, and even the device they used to view it. Use this to create a profile for your audience and define the best times for you to post your content. Are they mostly mums with young families who use social media in the evenings once the kids are asleep? Or are you looking at a business audience with people scrolling through social media on the way to and from work? Once you’ve had a look at the analytics on all your social media platforms, you should have a good idea of when your audience is online. Use this to come up with a basic schedule – for example, post on weekdays at 8am and 6pm, and weekends at 10am. Start posting at these times and keep an eye on the results. Do some days perform better than others? Do the posts in the evenings get more interaction than posts in the mornings? Experiment a little bit and don’t be afraid to change your editorial calendar until you find the times that work for you. Also be aware of seasonal changes, big events or other things which might affect the best time to post on social media. For example, you might want to keep in mind the clocks going back in winter and forward in spring. Also think about school holidays, bank holidays or other occasions when your audience might not keep to their usual schedule. Check on your analytics regularly to see if things change. As your audience develops, the times they’re most likely to be online might change too.